Los Angeles, CA -- Consumer Watchdog called for the ouster of the California Public Utilities Commission over its decision late Monday to extend a $6 billion credit line to Pacific Gas & Electric in an unneeded emergency process that allowed no time for scrutiny. The unprecedented vote makes it easier for PG&E to go into bankruptcy today and avoid accountability to wildfire victims, ratepayers and taxpayers. Such financing was not approved in PG&E’s first bankruptcy in 2001 and the lights stayed on. The nonprofit group said the decision will saddle nearly half the state's ratepayers with steep rate hikes and/or long-term debt. 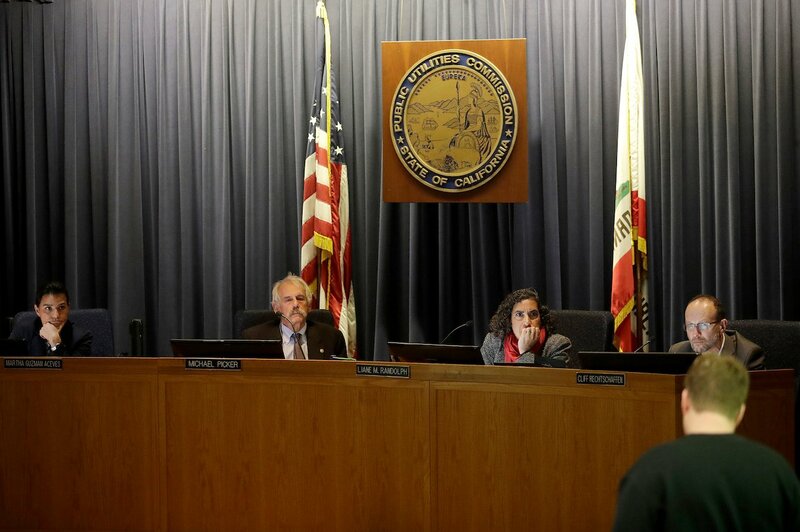 The four remaining Jerry Brown appointees on the PUC voted on an “emergency basis” and over the objections of the Office of Ratepayer Advocate and consumer groups to pre-approve the ratepayer-backed $6 billion line of credit for PG&E. Newsom's appointee was not yet sworn in. The PUC rejected a proposed amendment by the ratepayer advocates’ office to require that unreasonable costs not be passed onto ratepayers. “Without allowing time for regular hearings and review President Picker and the three remaining Brown-appointees to the PUC voted to put the interests of PG&E over that of ratepayers, who will bear the cost of the billions in bonds without conditions, and wildfire victims, who will be in line behind banks and lawyers to get paid in bankruptcy,” noted Court. Yesterday’s bonds are separate from the ratepayer bailout bonds for 2017 wildfire victims approved by the legislature last year that have not yet been initiated, and both bonds would be added to ratepayers’ bills. The likely costs to ratepayers will be tens of billions of dollars, which would result in years of double digit hikes and/or long term indebtedness.